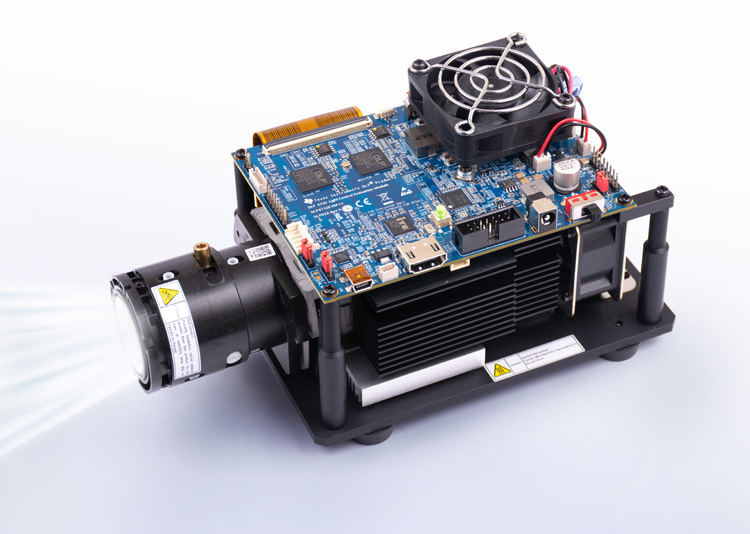 This high resolution: high speed 3D printing Reference Design enables faster development of professional 3D printing applications using DLP ®Pico™ technology. This design uses a stereolithography (SLA) technique: where a photo-resin is exposed to successive 2- dimensional patterns to create a 3-dimensional object one layer at a time. This design uses the DLP Pico 0.47 1080p DMD (DLP4710) with the new display and light controller DLPC3479. The DLP4710 DMD offers an excellent balance between resolution: size: and cost: targeting small form-factor desktop 3D printers and enabling a wide variety of 3D printing use cases across consumer: professional: and industrial applications. It includes electronics and optics along with software to generate pattern sets for the 3D printing process. The design also includes the DLPA3005 PMIC and LED driver.